Sometimes it just seems like Winchester is trolling the average consumer with the sheer amount of ammunition lines they can dream up. 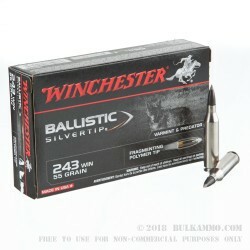 But in the case of the Winchester Ballistic Silvertip .243Winchester 55 grain load, there is some method to their madness. It’s a fantastic play on the upper tier of premium .243 hunting ammunition so you can extend your ability to take animals with a single cartridge at distance. The versatility that comes from this round means that daddy’s old .243 Winchester bolt action can now be a dedicated varmint. 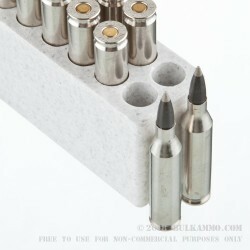 It could also easily function as a predatory animal rifle to cull the coyote numbers with. It’s still every bit as effective on moderately sized hogs and deer, and not it can reach beyond it’s normal capacity to ensure that you have clean, consistent kills on larger game too. 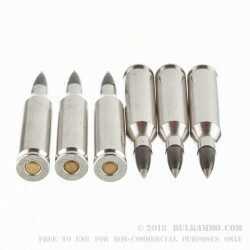 The fragmenting polymer tip offers a high ballistic coefficient and the super high-quality buildout of this cartridge from the clean burning powder to the Boxer primed nickel plated brass to the very consistently made silvertip projectiles. 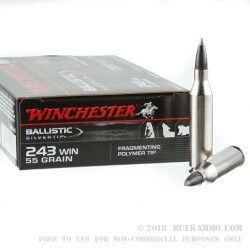 This is a premium round for discerning hunters that need to know they don’t have to carry 2 or three rifles or buy a bunch of different loads to get what they want out of the splendid, proven .243 Winchester round.